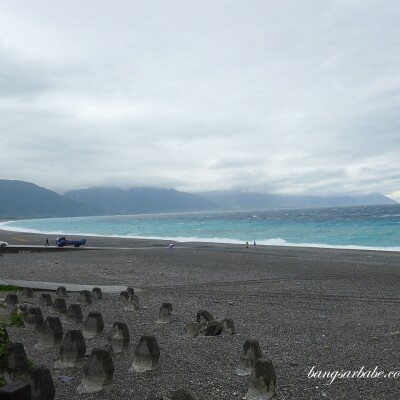 As a blogger and food lover, I value recommendations from fellow readers as they help the blog grow with more content. 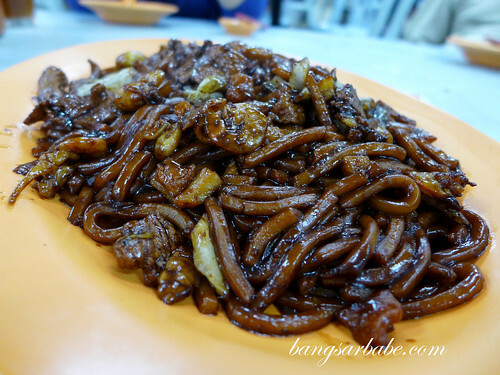 When I reviewed the Ah Wah Hokkien Mee in Taman Paramount, I received many recommendations on which were their personal favourites. Peng Yuan was one of them and I’m glad I tried it when I was around the area for dinner. 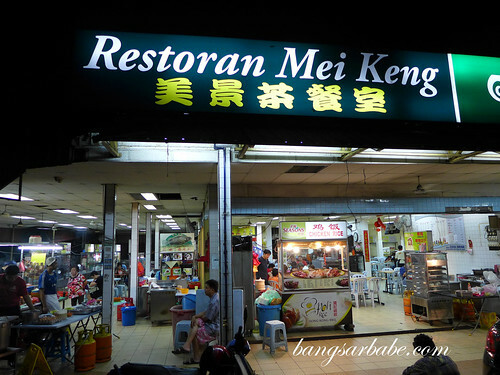 The hokkien mee stall is located in Restoran Mei Keng, the corner lot along Jalan 222 (Ah Wa hokkien mee occupies the first corner). 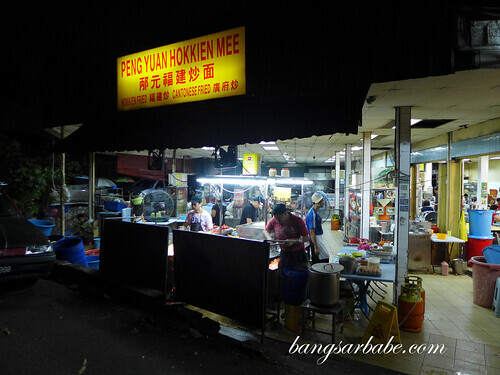 This coffeeshop also houses several hawker stalls, should you choose not to eat from Peng Yuan. 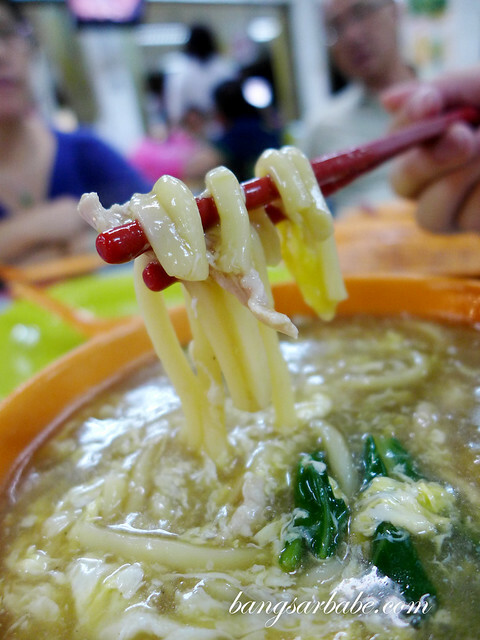 Depending on what time you’re there, it can take a while for your noodles to arrive. 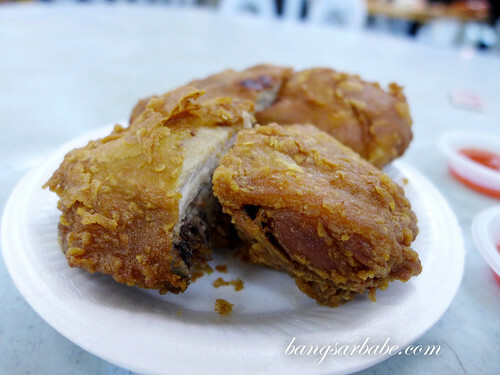 While waiting, I ordered some fried chicken from the stall at the front and it was pretty good stuff – the chicken was adequately juicy and crispy on the outside. 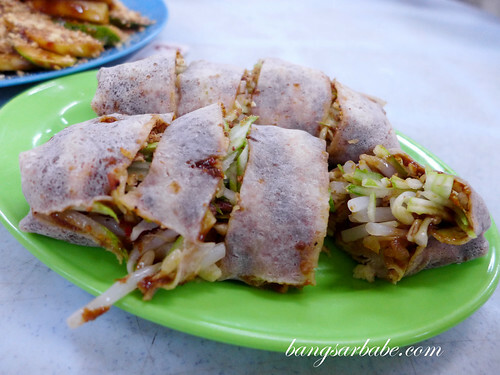 Also decent was the popiah which my mother in-law ordered. 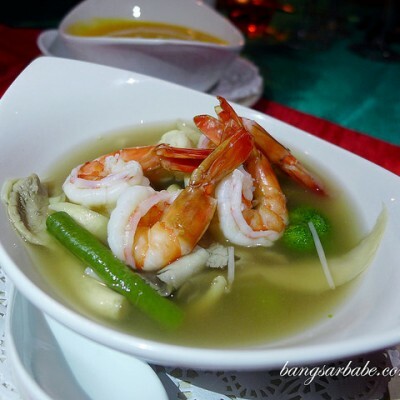 This was generously filled and the sengkuang filling was flavourful. We also shared a plate of fruit rojak and tauhu bakar. 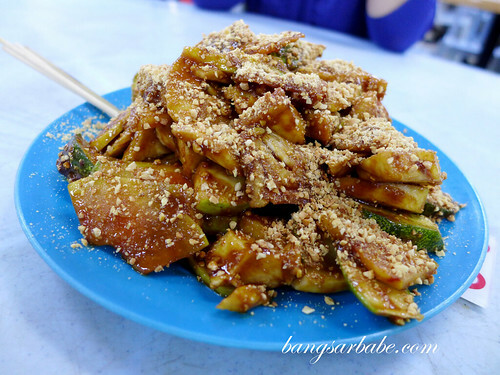 I didn’t care much for the latter, and thought the rojak sauce wasn’t pungent or “kau” enough. 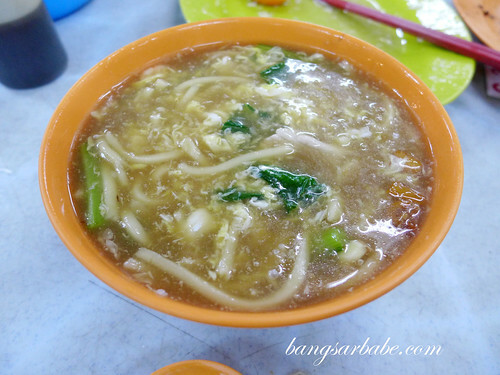 Peng Yuan’s hokkien mee is a popular item here – almost every table had a plate of this. The noodles were delicious and quite comparable to the one at Ah Wa. There was plenty of wok hei and lard, and I reckon the portion here is more generous than the former’s. I definitely wouldn’t mind returning for more. 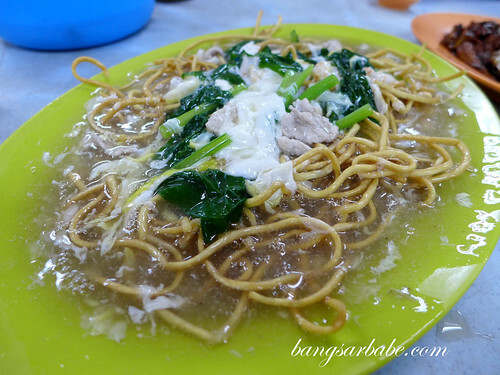 Skip the wat tan sang mee. It was a huge disappointment. I don’t get why people order this as the gravy was tasteless and the noodles were too chewy for comfort. This dish needed plenty of chilli and soy sauce for flavour, and I did not enjoy it. Better was the loh mee although I still prefer the one from Ah Wa. Peng Yuan’s version was plainer with little or no wok hei. That said, a dollop of sambal chilli and a dash of vinegar did the trick. All in, I would only recommend the Hokkien Mee from Peng Yuan. Give the fried chicken and popiah a try to buffer the wait. 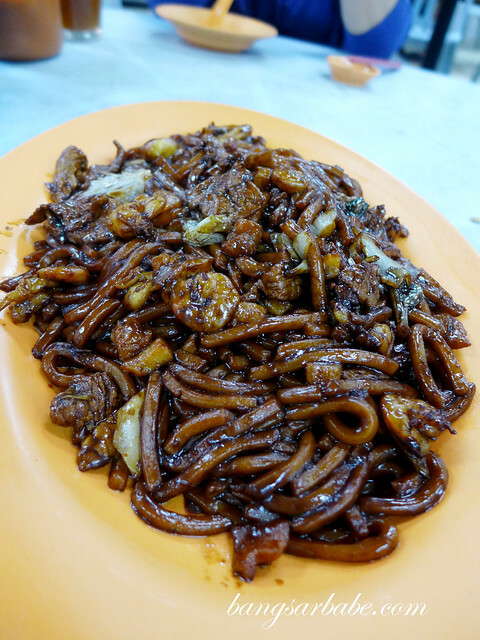 Verdict: Try the hokkien mee at Peng Yuan. Don’t bother with the other noodle dishes. hi. is there any 1 have the contact for the shop? Cos I left bb termos there just now… Thanks.